In a recent blog post, I detailed stream optimization solutions and concluded that the lack of market education could kill this segment before it even has a chance to grow. In that post I raised some key questions about the economics of optimizing streams including: How much cost does optimization add to the encoding flow? How much is the delivery cost reduced? How much traffic or content do you need to have in order to get an ROI? At that time, none of the stream optimization vendors had this information available on their websites. Beamr, who is one of the stream optimization vendors I mentioned, recently stepped up to the challenge, and sent me a detailed ROI calculation for their solution, which they also posted on their website. Finally we have some public numbers that show the economics of their stream optimization solution, and the type of companies that could benefit from it. 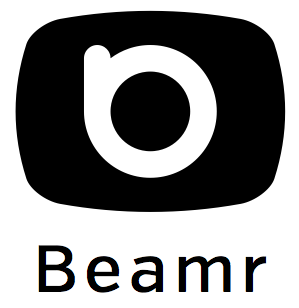 Beamr’s product works by iteratively re-encoding each video frame to different compression levels, and selecting the “optimal” compression level which provides the minimum frame size in bytes while not introducing any additional artifacts. The diagram below shows the processing which Beamr Video performs on each video frame. As you can imagine, this process is resource intensive, since each frame is encoded several times before moving on to the next frame. And indeed, the processing time for one hour of video on a single core ranges from 3 hours for 360p content to 14 hours for 1080p content. However, since Beamr is capable of distributing its processing to multiple cores in parallel, on a strong enough machine optimizing an hour of 1080p content can actually be completed in one hour. Beamr’s ROI calculation estimates that the cost of processing one hour of video (which includes 6 ABR layers at various resolutions ranging from 360p to 1080p) is around $15. This figure includes about $4 of CPU cost, and $11 of the Beamr software license cost. As for delivery cost, Beamr’s estimation based on Amazon’s CDN costs for large customers that deliver Petabytes of data each month is around 3 cents for each hour of video delivered. Since Beamr chops off around 35% of the stream bitrate on average, the Beamr savings on each hour of video delivered are approximately one cent. Comparing this number with the processing cost, it can easily be seen that for videos that are viewed 1500 times the cost of processing is exactly offset by the savings in the CDN cost, and above 1500 views there is a positive ROI. After reviewing these numbers, two things became clear to me: First, that under the right circumstance, there can be a positive ROI for deploying Beamr’s stream optimization solution. Second, the benefit is only for OTT content owners that have a relatively large number of video views each month. If you have 1M views for an hour-long episode, you can save $10,000 in delivery by optimizing that episode with Beamr. If your clips are viewed only 100 times on average, you won’t recover optimization costs through delivery costs savings. However, since stream optimization can also benefit the UX, by reducing rebuffing events and enabling a higher-quality ABR layer to be received by more users, it might make sense to apply it even in smaller-scale services. But again, these claims have not been proven yet by Beamr or any of the other stream optimization vendors yet. Thanks to Beamr for breaking down some of the costs and helping to educate the market.